Though Asia Bibi has been cleared twice of all charges, her plight has only exacerbated the religious and political turmoil surrounding the volatile issue of blasphemy. Religious groups, agitated for Asia Bibi's execution have been showing increasing muscle in past year. For years, Asia Bibi has been the invisible victim and villain of a high-profile drama that has divided this Muslim-majority nation, set off a chain of violent events and focused world attention on the power of religious extremism and its challenge to the Pakistani state and its powerful security forces. Now, with the Supreme Court dismissing an appeal by Bibi's religious opponents on Jan. 29, the illiterate Christian peasant woman is finally free - more than eight years after she was imprisoned and sentenced to death for committing blasphemy while arguing with Muslim workers in a berry field because she touched a bucket of water. "She is free to go anywhere, or to stay in Pakistan under the protection of the state, for the rest of her life," the country's foreign minister, Shah Mehmood Qureshi, told the BBC in London on Wednesday. But Bibi, 51, whose lawyer said she is in the process of being flown to Canada, remains a silent prisoner of circumstance. She has been held incommunicado in an undisclosed location - most likely a safe house in the capital - ever since she was first acquitted by the high court in October and released from a women's prison in Multan city, where she had been on death row. "There is no way she can stay in Pakistan," the lawyer, Saif ul Malook said in a lengthy interview Wednesday. He said her husband, two grown daughters and several family associates have already relocated to Canada, with support from the Ottawa government and local Christian churches. Even though Bibi has been cleared twice of all charges, her plight has only exacerbated the religious and political turmoil surrounding the volatile issue of blasphemy, a capital crime in Pakistan and a frequent excuse for the harassment of religious minorities. Accused blasphemers are at risk of being pulled from jail and lynched by frenzied mobs or even by fellow prisoners or guards. The high court has now issued two exhaustive, blistering rulings in her case, denouncing the evidence against her as a concoction of lies and contradictions, but the justices took pains to focus on purely legal flaws in the prosecution and to avoid raising the issue of blasphemy itself. 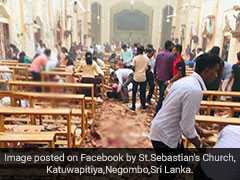 The closest they came was when one justice demanded of her religious antagonists, "Is this the face of Islam you want to show the world?" The religious groups that agitated for Bibi's execution have been showing increasing muscle in the past year. They staged disruptive protests for weeks in late 2017 and launched days of violent mayhem after she was acquitted last October, calling for mass uprisings against civilian officials and even a military mutiny. The government finally agreed not to let her leave the country during the appeals process, which critics denounced as a dangerous capitulation to extremism. Since then, the agitators have been temporarily brought to heel. Their top leaders are under arrest and several have been charged with sedition and terrorism. In a ruling Wednesday, stemming from the 2017 protests, the Supreme Court admonished the government to be more vigilant against "preachers of hate and extremism," saying they should "never be pampered; instead they should fear the state." In 2011, after Salman Taseer, the Punjab provincial governor, spoke up in Bibi's defense, he was assassinated by his bodyguard, Mumtaz Qadri, who said he was acting in defense of Islam. "The acquittal of Asia Bibi and its upholding by the Supreme Court are important developments, and we are happy that her long ordeal has ended, but it is very sad that she cannot live in her own country," said Tahir Naveed Chaudhary, chairman of the Pakistan Minority Alliance. "If the extremists are so powerful that they can kill people like Governor Taseer, who can guarantee the protection of a poor soul like Asia Bibi?" Malook, her lawyer, who fled to Europe last October after saying he received death threats when Bibi was first acquitted, returned two weeks ago to represent her in court again. A career criminal attorney who also served as a special prosecutor in the trial of Taseer's assassin, Mumtaz Qadri, Malook said he is fearful of being killed, but that he does not want to leave his family or seek permanent asylum abroad. "I want to keep traveling here and representing people like her. I want to keep doing that for the rest of my life," he said. "But if something happens to me, nobody will dare touch another such case for 100 years." One of the very few people who visited Bibi during her years in custody, Malook described her as a "simple woman," a farm laborer who never learned to read or write and did not have an educated understanding of religion, but who had a "brave heart" and resilient spirit. "She never wept or got angry," he said. "Once she told me she had a dream that the doors of the prison all opened up, and that gave her confidence she would be released." Malook described the conditions of Bibi's long imprisonment, in one of three "death cells" in the Multan women's prison, as surprisingly benign. He said there was a TV set on her cell wall and that she was allowed to cook in a space outside it. He said the female guards were friendly with her, and that although she was technically in solitary confinement, she was never left alone. "There were only women on the staff. She said they treated her like a sister," the lawyer said. "They did not want her to be hanged." Malook's description of the events that led to Bibi's blasphemy conviction tallied with those detailed by the Supreme Court: She went to fetch water while working in a field, but argued with several Muslim co-workers who refused to drink from a vessel touched by a Christian. After that, he said, the story became murky and distorted by pressure from local clerics and others, but she was nonetheless convicted by two courts for insulting the prophet Muhammad and spent almost nine years in prison, awaiting appeal. Numerous Pakistani analysts have warned that the belated legal actions in the case have done little to resolve the broader societal schisms that led to Bibi's ordeal. Hassan Javid, a political scientist writing in The Nation newspaper on Sunday, said the "entire saga demonstrates the ways that religion, class and caste intersect" to oppress and "blight the lives" of millions of Pakistanis. 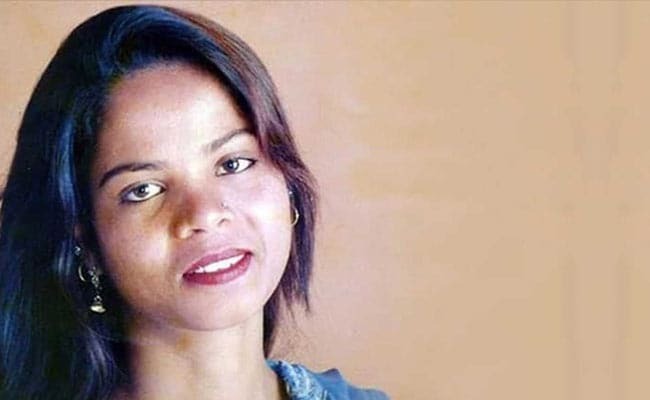 In a country where "life is cheap and bigotry is rife," Javid added, "it is miraculous enough that Asia Bibi is free."